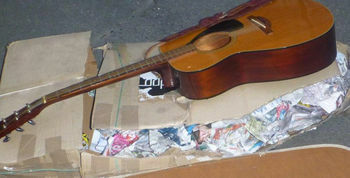 What a fantastic response you have provided in offering guitars and guitar strings. I have enough to take not only this time, but also next time when ministering in the Pacific on behalf of Anglican Missions. It was while I was in Papua New Guinea watching various music teams practice for Sunday services that I realised just how important guitars are for them. The churches don’t have organs or pianos! Music is lead entirely on guitar - or nothing. Having replacement strings is vital and in the villages they are as rare as hens teeth! I could not buy a set in Port Moresby; yes the shop sold guitars but not strings! I hope it is easier in Samoa and American Samoa. Thank you all for your wonderful responses.